Images from the Philadelphia Inquirer Photographs Collection at the Rock and Roll Hall of Fame Library and Archives. Q. Raheem. Bishop. Steel. 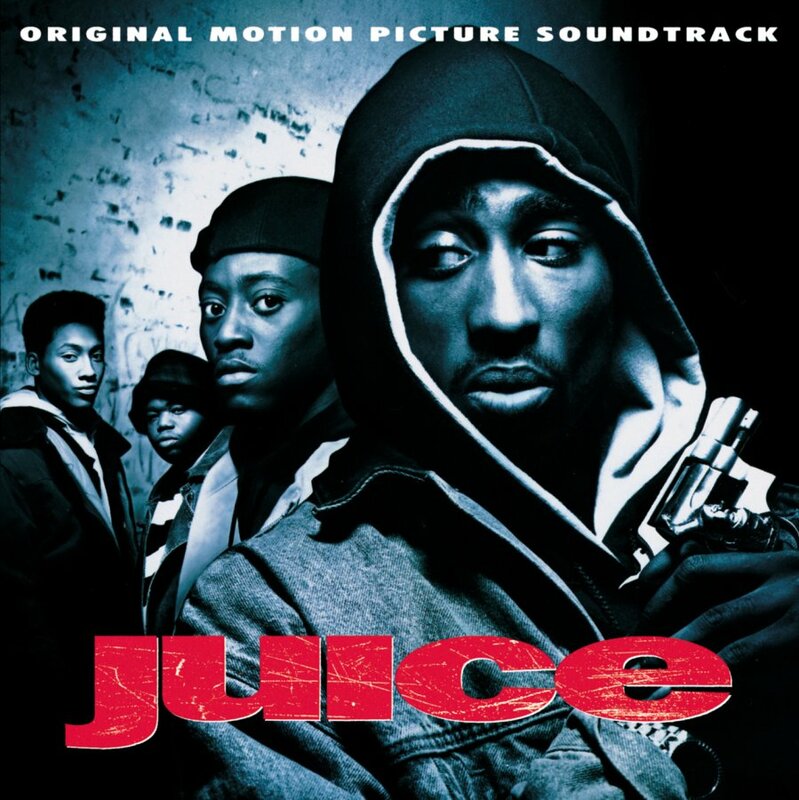 They're Four Harlem friends who spend their days hanging out and looking for a way to get the power and respect they call 'juice.' Q hopes to earn respect by becoming a scratch 'n' mix DJ. Bishop has a deadlier plan. He wants to take it through an armed robbery. And he wants his crew to be with him. All of our books on Tupac can be found here. 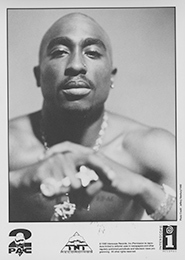 A portrait of the late rapper, poet, and actor describes his influence on the world of hip-hop, his personal life, and his tragic murder in a book with removable documents and memorabilia, including reproductions of song lyrics, personal notes, and letters. 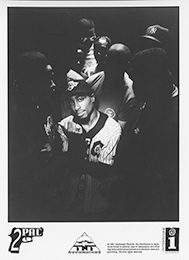 Photographs, essays and tributes by friends and colleagues, and interviews with the late rap artist highlight a portrait of the turbulent life, successful career, and tragic murder of Tupac Shakur. In a portrait of Tupac Shakur as a high-school student at the Baltimore School of the Arts, a former classmate and close friend recalls the late musician before he became a music and media celebrity. The definitive account of the unsolved murder of Tupac Shakur. Archival collections are described in Finding Aids that provide you with historical and organizational information on a collection, subject headings that tie it to other library and archival materials, and an inventory to help you pinpoint what you need. 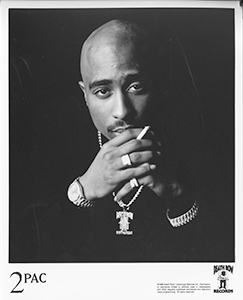 The Archives has a number of items in different collections related to Tupac, including posters, artist files, research files, and bootleg recordings. For more information on these items, please see the results of this catalog search. "In 1992 at the ‘Truce Picnic’ in Cali, Tupac was instrumental in getting rival members of the Crips and Bloods to sign the Code Of THUG LIFE. He and Mutulu Shakur had helped write up the ‘code’, with help from other ‘og’s’. The Code of THUG LIFE is listed here. It details do's and don'ts for being a righteous thug and banger. 26. Protect yourself at all times."